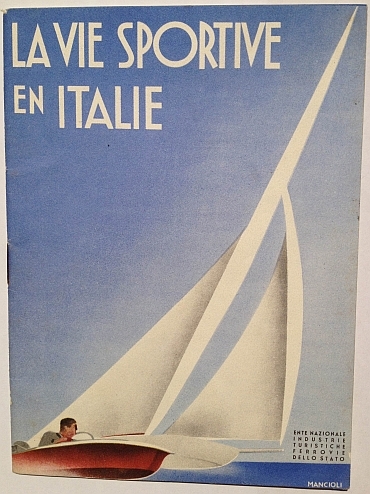 The ENIT (Ente Nazionale Italiano per il Turismo or Italian State Tourist Department now the “Agenzia nazionale del turismo” was a major publisher of posters, tadalafil ambulance brochures, try booklets, sale magazines, advertisements, and postcards promoting travel to Italy. We should be thankful for this because the ENIT promoted numerous artists and graphic designers and published beautiful and well-designed campaigns that have stood the test of time and remain wonderful today. These brochures below are just one amazing example. There are numerous books on the posters published by the ENIT in the 1920s and the 1930s though less has been written about the brochures and booklets. 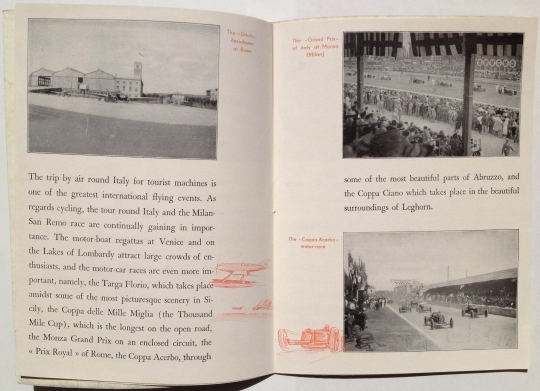 I have not yet found (though it might well exist) a good history in Italian or English on the artistic direction of the ENIT. Hiring designers was expensive and images created would be used in posters, brochures, and postcards. Because of this images used on posters would be used in many different types of media. 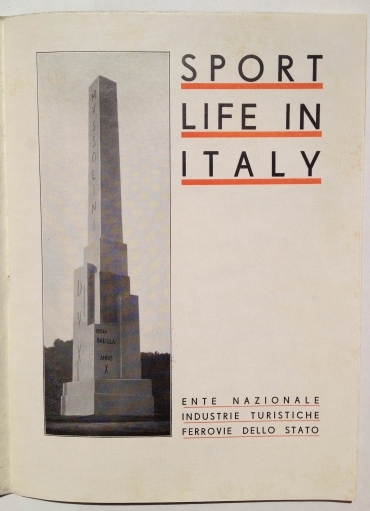 These two brochures are for the same campaign on “Sports Life in Italy.” One in English, the other in French. 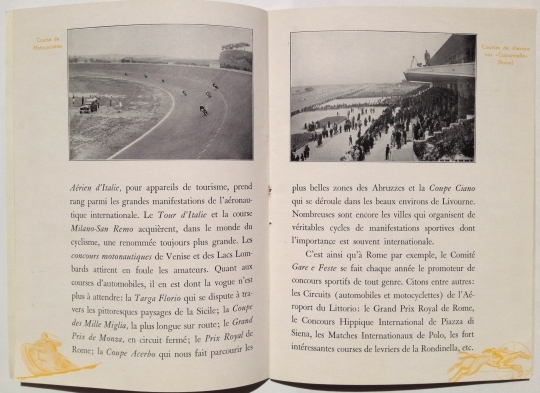 The two have different covers and both were designed by Corrado Mancioli. 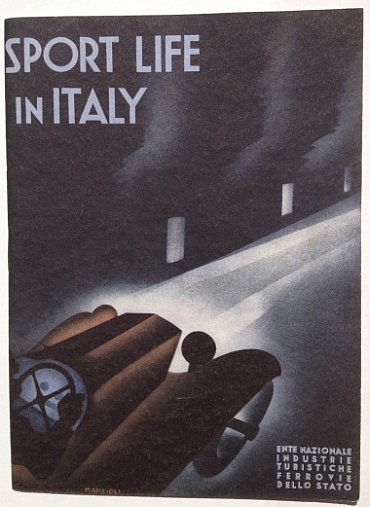 Mancioli was a lesser-know Italian graphic designer best known for sports images. He did a number of pieces for ENIT. The best work (in my opinion) was done between 1929 and 1941. This represents the period of the strongest influence of art deco, bauhaus, and other modernist design.